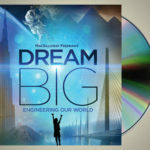 ASCE member Menzer Pehlivan features prominently in Dream Big. 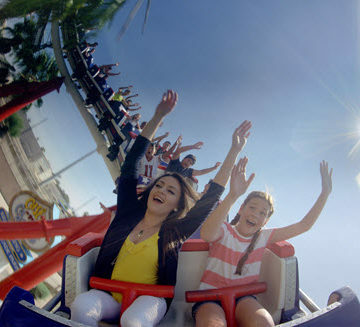 More than 1 million viewers have experienced the Dream. Dream Big: Engineering Our World, the giant-screen film presented by Bechtel and produced by MacGillivray Freeman Films in partnership with ASCE, has surpassed the 1 million paid-viewer mark – and did so in less than six months. Audience survey data shows that approximately half of the attendees have been under the age of 17. The film premiered to rave reviews Feb. 17 in museums and other giant-screen theaters around North America. It has since opened in England, Kuwait, and Russia, and will add several more U.S. venues this autumn and winter, including Boston and Austin, TX. Even as the film continues building on its million viewers at theaters into the new year, ASCE has a new goal: putting Dream Big into every U.S. public school in 2018. The educational toolkits will include the film itself, a teacher’s guide, and accompanying educational videos. 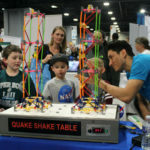 The Dream Big project is led by ASCE with a coalition of engineering organizations and support from Bechtel, the ASCE Foundation, the United Engineering Foundation, and NCEES. Seria fabuloso algo parecido en México, tanta gente preparada sin trabajo o la cultura de salir de su país a trabajar ( profesionales) Bravo Bechtel. Es hora de regresar a México a crear empleos…. Great to hear that Dream Big has gained so much traction! I wanted to mention that, although it is not on Dream Big’s website, 4 days of screening will be occurring in the New York Capital Region between October 16th-20th. In an almost year long effort by ASCE’s Mohawk-Hudson Section, we teamed up with ACEC of NY and the office of NYS Assemblyman Angelo Santabarbara to preview the film to school administrators on April 25th at Proctors Theatre, in anticipation of our October Screenings. Our section will be working with SEI Mohawk-Hudson Chapter, with support by ACEC of NY and other local organizations and Regal Cinemas, to bring 1,200 high school students to see Dream Big on the big screen. We will have special guests Congressman Paul Tonko, NYS Assemblyman Angelo Santabarbara, and Clifton Park Town Supervisor Phil Barrett as guest speakers. We will have press coverage and local engineering firms showcasing their talents prior to the film screenings each day. It is my hope that our efforts will ripple to other local chapters who are looking to show this important movie on a larger scale. I saw this in in Helena MT with my 4-year son and he was captivated and interested the whole time. Where might I find a copy of this for viewing again?